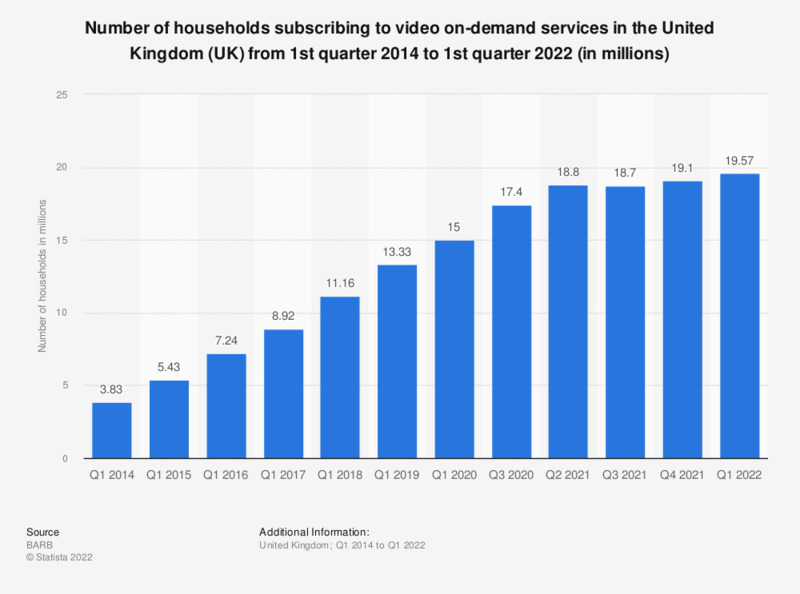 This statistic illustrates the percentage of households with a video on-demand service subscription during the period between first quarter of 2014 and first quarter of 2018 in the United Kingdom (UK). In quarter one 2014, 14 percent of the households were subscribed to an SVOD service. The period between the first quarters of 2017 and 2018 witnessed the highest increase in households subscribed to a service by a 7.6 percent.